Our Elixir Series offers an opportunity to enjoy our services at a discounted price. Each series is offered at multiple price tiers to accommodate any budget. Series of 3 are valid for 6 months, series of 6 are valid for 1 year and a series of 12 is good for 2 years. Elixir’s answer to the classic European facial, this deep cleansing treatment features a customized regimen of organic and vegan skin care remedies that will give you exactly what your skin needs, and nothing it doesn’t. Our soothing and effective methods keep your skin calm and glowing while removing impurities and congestion and reducing inflammation. You’ll leave looking relaxed and rejuvenated (bonus: you’ll feel that way too). A private consultation is included with each service to determine your skin type and to address your primary skin concern. This is the ultimate slimming, firming, fat burning spa experience. 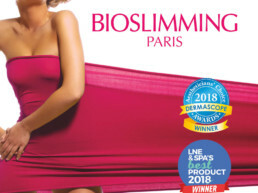 Using a high concentration of all-natural ingredients such as plant extracts, caffeine, essential oils and algae, the Bioslimming Body Wrap promotes micro-circulation, actual shrinking of fat cells, reduces the appearance of cellulite, firms, tones and removes inches. Results are instant and lasting. Enjoy soothing face & scalp massage and healing reflexology while the wrap transforms your body. You will see results after just 1 wrap, 6-10 are recommended for complete results.